Residents of the Champlain Islands have a convenient new option when it comes to health care, but proposed GOP changes could make for a rough ride ahead. 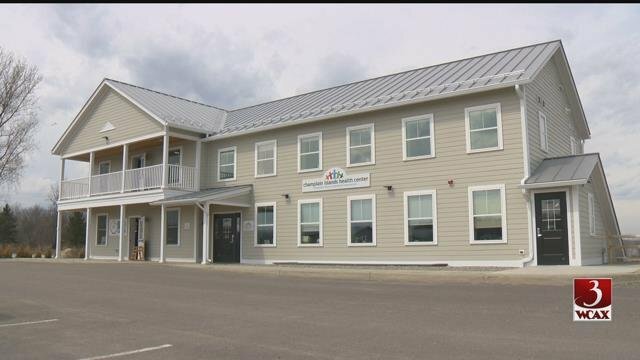 The Champlain Islands Health Center in South Hero opened its doors late last year. The $1.2 million federally-qualified center is one of 12 around the state. It recorded 6,300 patient visits last year. “We welcome everyone, whether you’re insured, uninsured, under-insured, whatever kind of insurance you have,” said Alison Calderara, Community Health Centers of Burlington. Unlike the six other clinics operated by the Community Health Centers of Burlington, most of the patients are not low-income. Over 40 percent are over 65 and enrolled in Medicare, 30 percent have commercial insurance like Vermont Health Connect. Low-income or Medicaid patients make up only about 20 percent and just a fraction pay on a sliding scale. The new center with its bright colors and spacious exam rooms is a major step up from the previous location, an old motel down the road. In addition to access to standard medical care, the South Hero clinic also provides psychiatric care. “We also will send someone up here and there is also access to mental health and substance abuse counseling here, as well, and there is someone on-site,” said Calderara. She says they hope space in the building will someday house a dental clinic. Sen. Bernie Sanders, I-Vermont, has long advocated for the centers and on Tuesday he stopped by for a tour. “Right now, incredibly one out of four Vermonters are getting their primary health care through a community health center,” said Sanders. Sanders says the failed GOP-led health care reform efforts would have decimated the Medicaid dollars that keep centers like these running. “I want every person in this state to be able to go into a doctor’s office when they need to do that because I think it’s the right thing to do and also, by the way, it saves the system money. You don’t end up in an emergency room, you don’t end up in the hospital when you get to a doctor when you need to,” said Sanders. It’s still unclear whether Republicans have the votes for another shot at replacing Obamacare. In the meantime, Sanders is pushing a “Medicare-for-all, single-payer” bill and it is centers like this that represent the future.